Karl Kwok has led an illustrious business career that has taken him to the top of some of Hong Kong’s largest companies, but many of the skills he uses were honed on a boat. 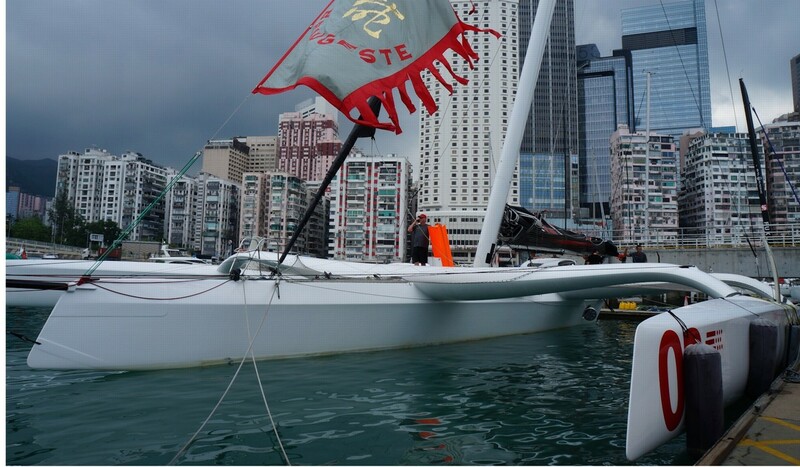 He is setting off to break the Hong Kong to Hainan record aboard his 70 trimaran the Beau Geste. Kwok added you have to be in tune with the team so you can see when crew members are feeling down or angry. Empathy helps the teams tick, but one time he employed a more basic tactic. Once each race is over, Kwok and his captain have a meeting and conduct appraisals on each crew member so they can better learn to manage them and so the crew themselves can improve. There is safety to consider too and Kwok has to comply with regulations, just as with his two listed companies – Wing On Company International and Tai Cheung Holdings – where he is CEO and director respectively. Given the wealth of lessons available on board, Kwok thinks children would benefit from learning to sail. “Some of these people [sailors] have finished high school, they haven’t gone to university but they’ve had vigorous training and gone into business,” he said. The Hong Kong to Hainan race started on Thursday morning and the leaders are expected to finish early on Friday morning. 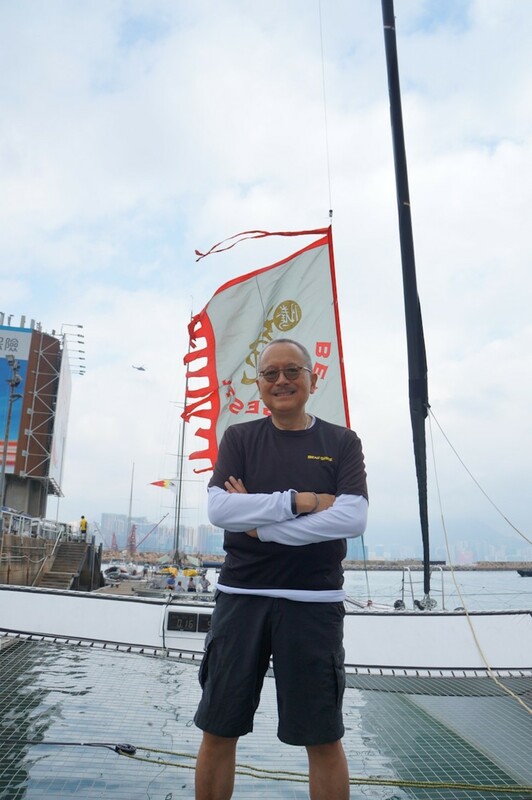 Kwok spoke before the race at the Royal Hong Kong Yacht Club about his plans to set the record. There will be a following wind, the perfect conditions for sailing in a multihulled boat. But Kwok is conscious not to push it too hard and risk flipping the boat. Trimarans are fast, but this 70-foot model in particular is susceptible to capsizing, or pitch poling – when the boat rides a wave so fast its bow ploughs into the wave in front and it flips end over front. Beau Geste has never flipped. And there is likely to be another boat right there as Kwok has stiff competition in the form of the new Scallywag trimaran. It is the first time the two trimarans have raced against each other. Both boats can reach speeds over 30 knots (55 kilometres per hour), but Kwok thinks the night racing will be the difference. “Day time and night time racing are totally different. If you manage to stay on pace in the dark you are probably way ahead of the others,” Kwok said. The Scallywag brand is famous after one of its other boats competed in the Volvo Ocean Race, a round the world trip, which saw them lose a crew member overboard. The race was full of drama, including the death of a Hong Kong fisherman when Vestas – an American boat – collided with a fishing boat as it entered the harbour at night. He added that the fishing boats can be a hazard, and sometimes string nets between two boats so you have to guess what they are doing. 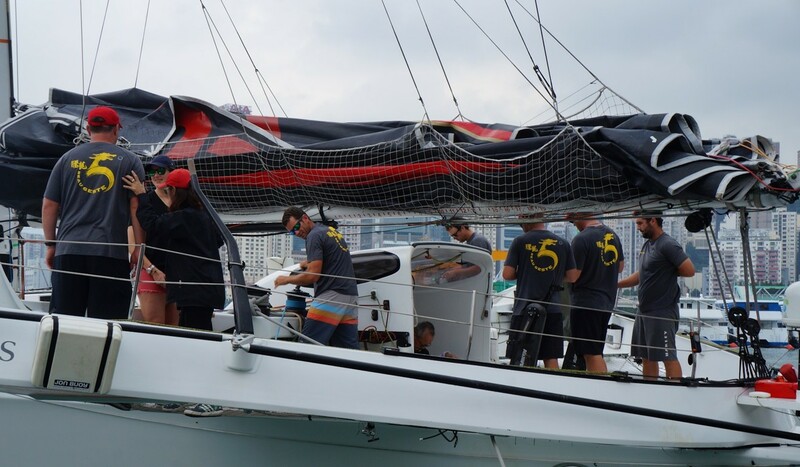 *Since publishing Kowk set the Hong Kong to Hainan multihull record aboard his MOD Beau Geste, arriving in 24 hours, one minute and 59 seconds, just missing the overall race record of 23:31:52. Kwok and his crew arrived in Hainan on the trimaran on Friday morning.